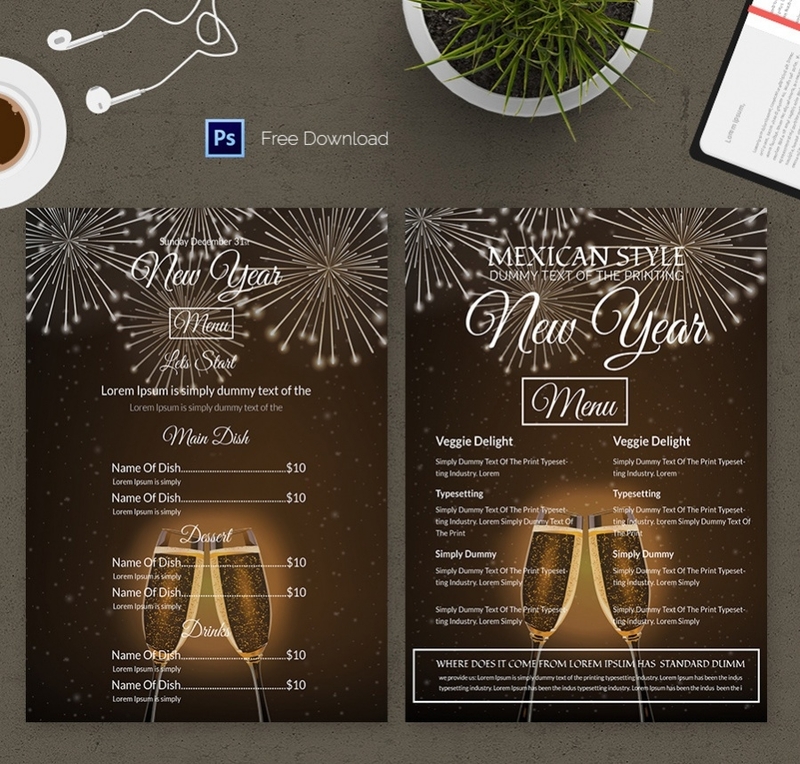 The menu templates are much needed when you are about to prepare the menu card of your restaurant. These online templates come up with ready made menu cards with food and prices that you can easily customize according to your specific details. 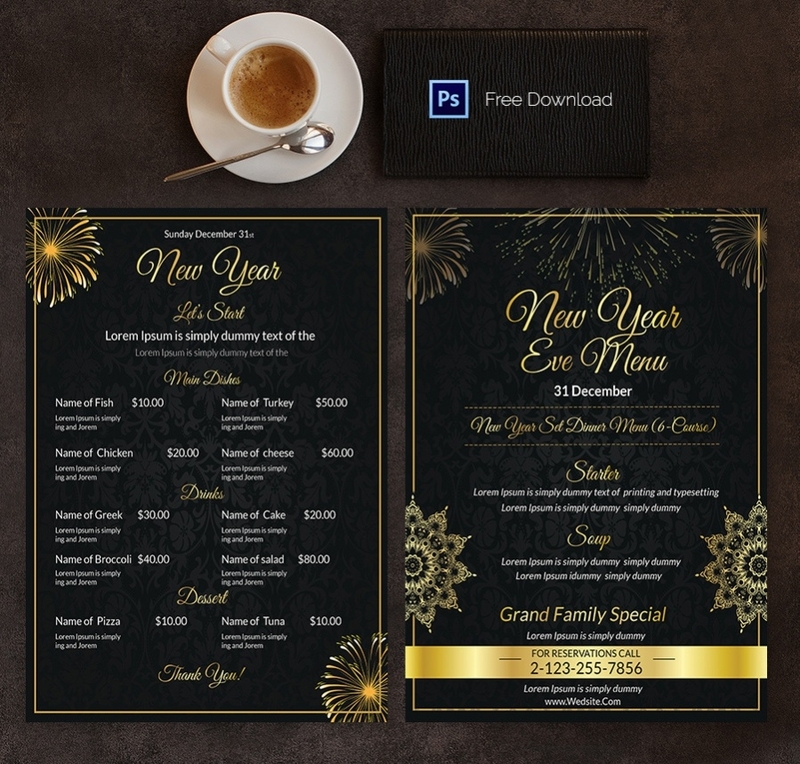 Whether you want a formal tone or a minimalist one or something creative or a one with a retro look, there are diverse menu card templates to choose from. These templates relieve you from designing the entire thing from start. With red at the top, this template is exactly fitting for your fiery hot lip smacking delicacies. You are getting ample space to list down your whole menu here and on top you can post pictures of your best dishes. 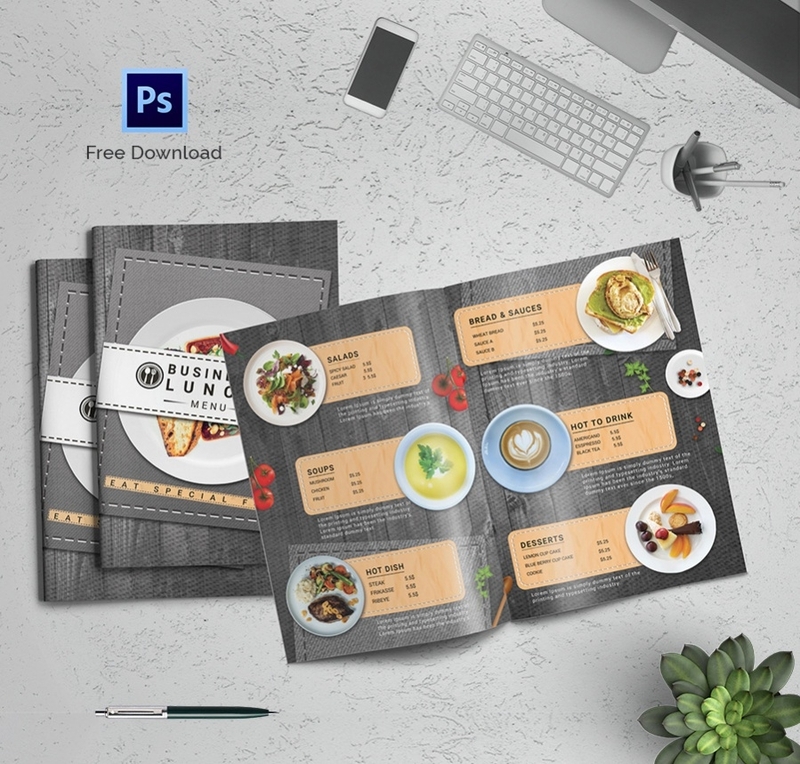 If you are in the lookout of free templates that will enable you to flaunt your sumptuous dishes with pictures along with the menu list, this template would be a cool deal for you. The golden sparkles and ornate decorations create a royal combo teamed up with a rich black backdrop and would be great when you are planning a special menu card for holiday season or the joyous New Year. If you are in search of subtle artsy creatives with your restaurant menu card, this mockup here steals the deal with its unique retro look. It’s minimalist yet classy and you would love the cute illustrations. The great part about this free download lunch menu is that it allows you to mention each of your different food categories in separate boxes for a better understanding. The silver golden and brown combo together creates a vivacious picture which makes an apt background when you are planning a special menu card for some celebration. The champagne glasses adds further glamour. How to use Menu Templates? 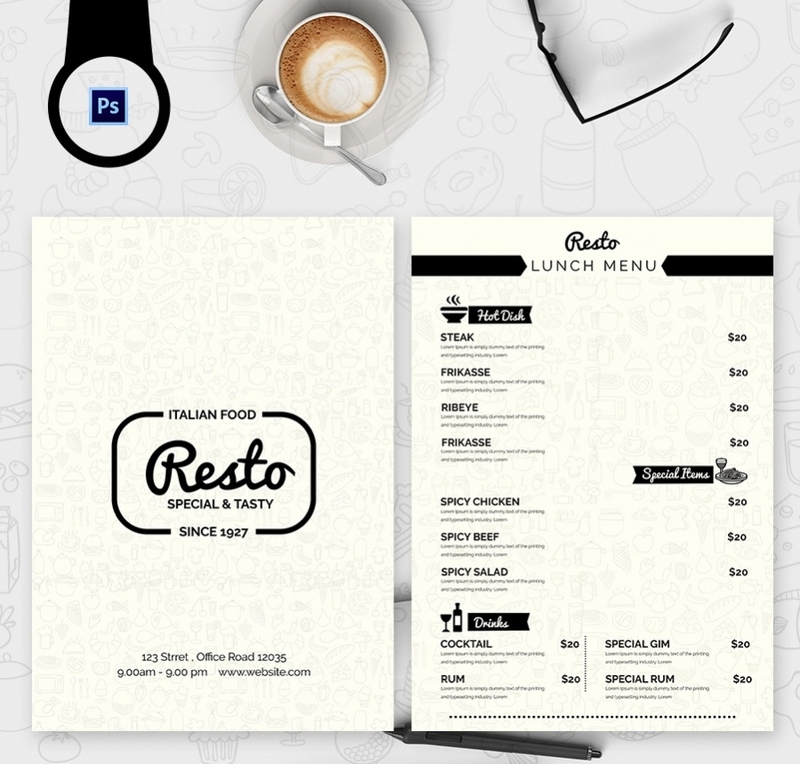 The menu templates would be handy when you are about to create the menu card of your hotel, restaurant or a café. 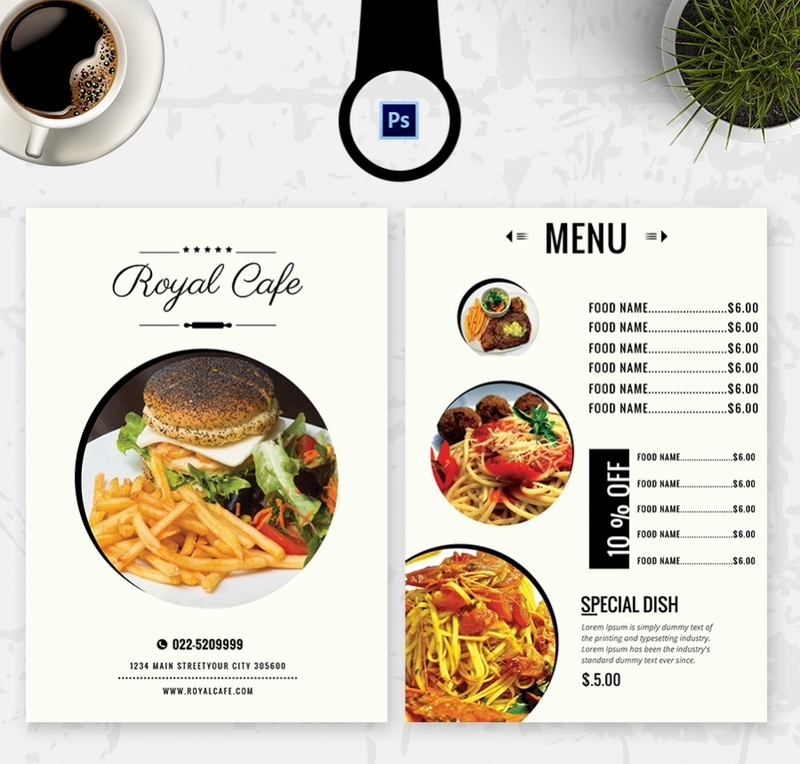 It could be that you are just starting out your first food joint or wish to redesign the entire menu card after a grand makeover of your eatery. 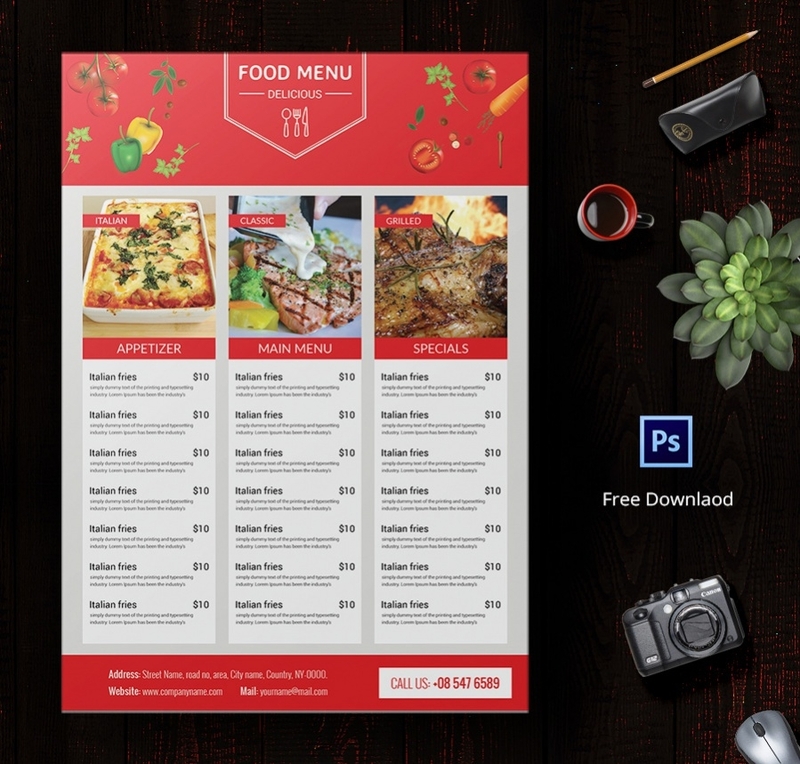 The menu templates come up with various themes to choose as per the mood of your food hub. You can use the menu templates to list down the different dishes available in each section of food served. Some of the templates even allow you to add pictures of the most celebrated platters in your eatery. Besides, you can use these templates when you want a separate menu card for a celebration.